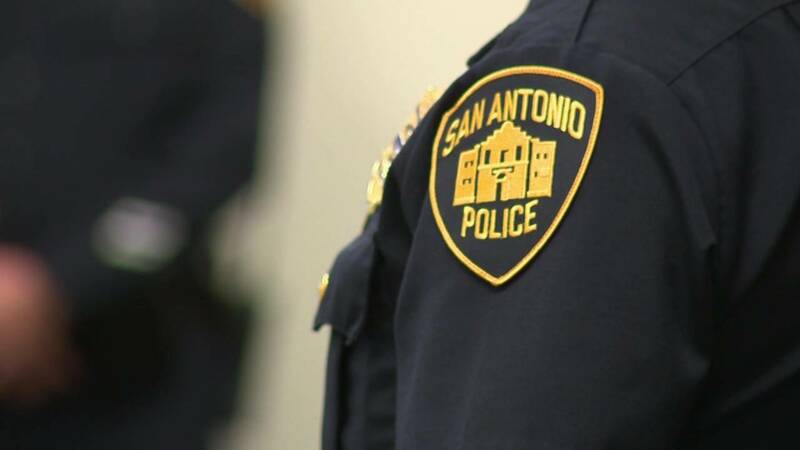 SAN ANTONIO - A detective with the San Antonio Police Department was issued an indefinite suspension in October after he engaged in an unauthorized high-speed chase, suspension paperwork revealed. Leroy Medlin Jr. was issued an indefinite suspension, which is the Police Department's equivalent of terminating one's employment, after he chased a driver who took off during a traffic stop on April 28. A police report for the incident states Medlin conducted a traffic stop on the driver of a black truck around 2 a.m. after the license plate number did not match the vehicle. Medlin wrote in the report that when he informed the driver of the discrepancy in the registration information, the driver told him he didn't own the vehicle. Additionally, when Medlin asked the driver for his license, the man said he did not have it on him. Medlin noted in his report that the driver kept the car in drive for the first half of the traffic stop, which prompted him to ask the driver to step out of the vehicle. The driver took off and Medlin ran to his patrol car and started pursuing the driver. When Medlin informed dispatchers he was pursuing a stolen vehicle, a supervisor asked if he had "anything else on the vehicle," to which Medlin stated the driver "almost ran (him) over." Disciplinary paperwork states Medlin lied and that body camera and dashboard footage do not show Medlin was ever in danger of being run over. Additionally, authorities said they believe he lied so that he could engage in the chase, which reached speeds of 106 mph. Officials with the Police Department said Medlin placed "himself and other drivers and property in possible danger." He was issued an indefinite suspension Oct. 18 for violating SAPD rules and regulations involving truthfulness of members, procedures on vehicle pursuits and stop techniques, and the safe operation of vehicles. This is not the first time Medlin has been disciplined by the department. KSAT 12's suspension record archive, which dates back to 2013, shows that Medlin was issued an indefinite suspension in June of 2015 for a similar incident regarding an unauthorized chase. He was able to get his job back through arbitration. Prior to that suspension, he was suspended for 10 days in June 2014 after failing to search a suspect before detaining him. The suspect had a loaded firearm in his pocket, according to disciplinary documents. Medlin was suspended for 10 days in March 2015 after leaving his assigned district and leaving a woman in the back of his patrol car unattended to pursue a man on foot. Lieutenant Matthew J. Golla, 30-day suspension without pay: Suspension paperwork states Golla "exhibited an unprofessional and aggressive attitude" toward Kirby police officers who were investigating damage to a vehicle from rocks spit out by Golla's lawnmower. Golla was issued the suspension for violating rules of conduct and behavior. Suspension documents state Golla, who was mowing his lawn when police arrived, did not cooperate with authorities' investigation. Officer Josue G. Vallejo-Martinez, 10-day suspension without pay: Vallejo-Martinez was given a 10-day suspension without pay for violating the department rules and regulations regarding the safe operation of vehicles. Suspension paperwork states Vallejo-Martinez drove recklessly to the scene of an accident on April 30. Disciplinary paperwork states he drove through an active school zone above the posted speed limit. Officer James L. Quintanilla, two-day suspension without pay: Quintanilla was suspended after turning off his body camera while pursuing a driver, according to suspension documents. He did not reactivate his body camera until he began searching for another suspect on foot, paperwork states. According to suspension documents, Quintanilla violated rules on vehicle pursuits and stop techniques. Officer Heidi L. Cruz, one-day suspension without pay: Cruz hit a vehicle while driving a city-owned vehicle, according to paperwork. Officer Steven D. Martinez, one-day suspension without pay: Martinez wrote a check for $109 despite having insufficient funds in his account, and the check was returned. A warrant for theft by check was issued for Martinez's arrest. He was suspended for violating rules regarding conduct and behavior. Officer Lorenzo J. Lopez, three-day suspension without pay: Lopez was suspended after "negligently" crashing a city-owned vehicle on July 7. Officer Alfonso C. Peeler, one-day suspension without pay: Peeler was suspended after "negligently" hitting another vehicle while driving a city-owned vehicle on Aug. 6. Officer Sergio Villanueva, one-day suspension without pay: Villanueva was suspended for one day without pay after he deactivated his body camera and dashboard camera on July 18 after pulling a driver over for driving erratically, paperwork states. Villanueva turned the camera back on after the suspect was arrested and placed back in the back of his patrol vehicle, according to documents. Probationary officer Christopher K. Copeland, one-day suspension without pay: Copeland "negligently collided with a vehicle" on Aug. 12, according to suspension paperwork. Probationary officer Tyler R. Stenson, three-day suspension without pay: Suspension paperwork states Stenson "negligently collided with a vehicle" on Aug. 8.